We are selling the items we produce. 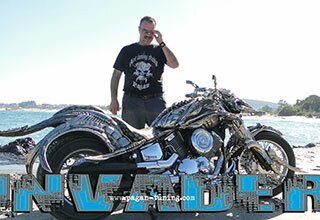 Some projects ar preordered, others are offered to buyers only after they are completed. 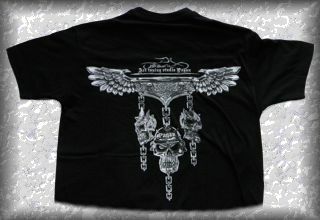 Please check this page regularly to see what is available. All prices, sale conditons and delivery details would be discussed in strict confidentiality with serious buyers. Please go to our Contacts page and use the online form to contact us with enquiries, or request further information. We would be happy to answer you at soonest possible. The SPIRE - based on SUZUKI M109R BOULEVARD 1800cc Contains 33 handmade details, which are a perfect collaboration of 3 types of resins and 5 types of metals. 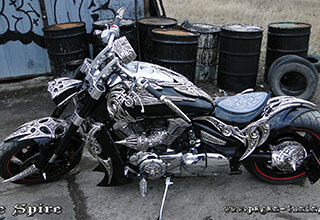 The final look involves more than 170 skulls and 180 tattoos with different size, so that the bike looks exquisite from a distance as well as from near. 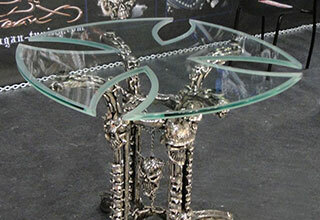 Hell's Table - hand-crafted, stylish, stable and affordable. 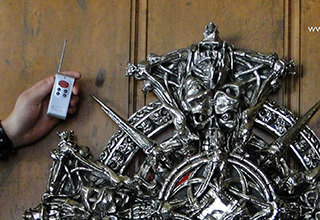 Cross 666 - Limited edition hand-made wall decoration with remote controlled lightning. 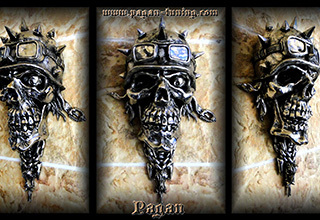 Pagan Limited edition hand-made decoration for wall. 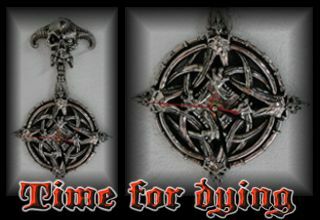 Time For Dying- Limited edition hand-made clock and wall decoration. Created by Modus 2 Ltd.